Techlahoma is a professional network of more than 4,000 information technology workers, hobbyists, students, teachers, and future technologists. Volunteers have created 32 free user groups and 4 conferences that train on the latest skills needed to obtain employment and succeed in today's increasingly tech-focused workforce. 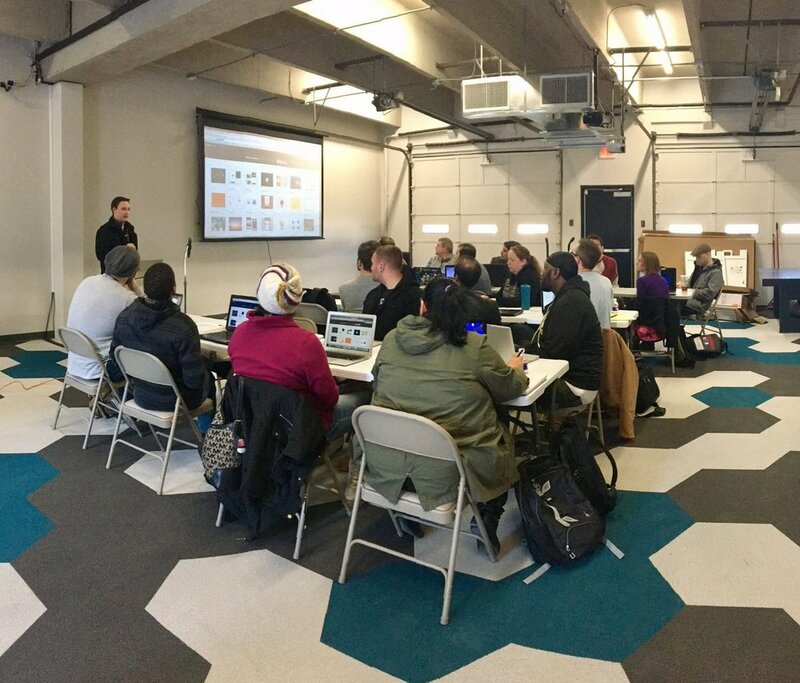 We teach and discuss topics ranging from design, coding, data science, hardware, mobile apps, and much more. Learn more about our free tech training in Tulsa, OKC, Muskogee, and Bartlesville user groups. Check out our free and affordable conferences in OKC, Glenpool, and Tulsa. Attend events like Code for Tulsa, Free Code Camp OKC, Tulsa Web Devs, Code for OKC, Code Club, and Hack Night for 1 on 1 mentorship. Want to start coding? Join the Code for OKC and Tulsa groups to contribute to OSS while building your resume and making friends. Join our community! Attend any of our free events by RSVPing on meetup.com/pro/techlahoma. "Advance Oklahoma's Grassroots Technology Community"
The Techlahoma Foundation 501(c)3 is a volunteer-run nonprofit that empowers community members by equipping them with life-enriching skills. While achieving our mission to teach, educate, connect, and empower Oklahomans we work to foster a diverse and inclusive community. Techlahoma events are open to the public. You do not have to be a professional coder or techie to attend. Computers are not necessary at user groups or conferences, but are helpful during events like Free Code Camp, HackNight, and Code for Tulsa/OKC/Muskogee hands-on tech mentoring events. If an event sounds like fun to you, we invite you to join in. Attendees are asked to RSVP to our free events so we can provide enough seating and food. If you are unable to attend a user group or hack-night in-person, we hope you'll check out our free live-stream Twitch broadcasts online. You can even ask the presenter/community professional questions in real-time online. (The COC rules apply to our moderated Twitch and Slack chats.) After the stream concludes, we share the presenter's slide decks and archive the recorded videos on Youtube to be viewed at any time. Our community events serve a range of people including students, high school/votech/university teachers, IT professionals, agile practitioners, tech managers, beginning coders, future techies, and software/hardware/techie enthusiasts. Many of our attendees are interested in providing low-barriers of entry to train under-represented people in tech, creating professional networks of women in tech in Oklahoma, teaching underfunded students and rural students who do not have access to STEM education at school or computers/internet-connected devices at home, and providing training for adults making a career transition into tech who are otherwise unable to afford or attend higher education, vo-techs, or bootcamps. Group discussion topics include often include getting your first developer job, how to enter the tech industry, website or app development and design, computer science, graphic design, UX and UI, data science/big data, machine learning, networking systems, microcontrollers/home automation, information security, defending against hacking, civic coding, and networking with fellow women in tech.